How would you feel if you got what you really wanted? What would you do if you were given the power to change the world? 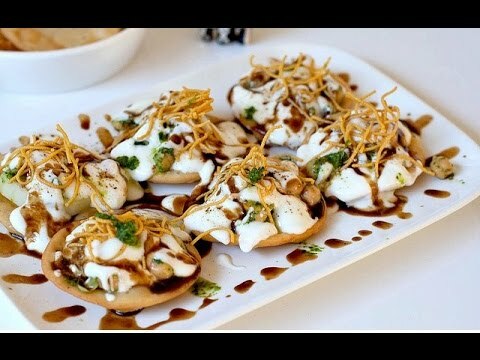 Everyone on BA flight 142 from London to Delhi got off it with a unique superpower. A power they didn`t even know they wanted. Everyone, that is, who`s still alive. Because someone is hunting down the passengers. And now Aman Sen`s ragtag collective of rogue super humans is in grave danger. They must decide what to do with their powers and their lives – and quickly. This explosive new blockbuster moves at hyper speed across two continents as colliding forces move towards an action-packed finale that will leave the world – and you – changed forever. Samit Basu is a writer of books, films and comics. His first novel, The Simoqin Prophecies, published by Penguin India in 2003, when Samit was 23, was the first book in the bestselling Gameworld Trilogy and marked the beginning of Indian English fantasy writing. The other books in the trilogy are The Manticore’s Secret and The Unwaba Revelations. 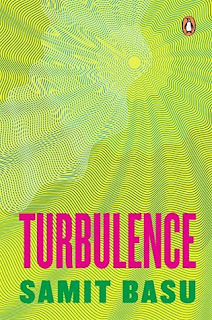 Samit’s other novels include a YA novel, Terror on the Titanic, and a superhero novel, Turbulence. 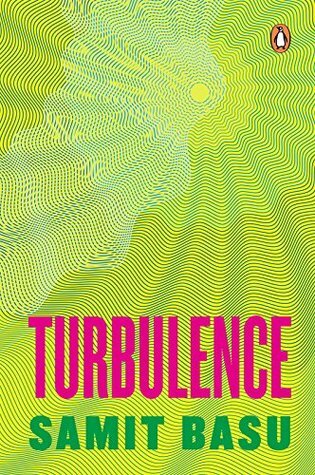 Turbulence was published in the UK in 2012 and in the US in 2013 to rave reviews. It won Wired‘s Goldenbot Award as one of the books of 2012 and was superheronovels.com’s Book of the Year for 2013. All five of Basu’s novels have been Indian bestsellers. Basu’s work in comics ranges from historical romance to zombie comedy, and includes diverse collaborators, from X-Men/Felix Castor writer Mike Carey to Terry Gilliam and Duran Duran. His latest GN, Local Monsters, was published in 2013. Samit was born in Calcutta, educated in Calcutta and London, and currently divides his time between Delhi and Mumbai. He can be found on Twitter, @samitbasu, and at samitbasu.com. I wish this book was a graphic novel, what a thrilling read it would have been! Nevertheless this book is amazing. Period. There is nothing more to say about it. I finished reading the book in one sitting and loved it till the end. Okay don't kill me but I had not heard about this author before this. But it was the blurb that had me in. There is not a single dull moment in this book. The very first line is what struck me the most. What if you had everything you ever wanted? In every single character of the book I found bits and pieces of my own self. We all aspire. We all dream. And we all dream about those dreams coming true. Yes, some of those dreams do look unattainable but then who cares. Like a famous movie dialogue goes, there is no tax on dreaming. We never know when is Almighty in a mood to say Amen and our dreams come true too. In this fantasy flight which we board with the other characters the author makes us go through that moment when we are bestowed with super powers because of which all our dreams can come true. And then, their life changes. The best part about this book is that it is based in India. A superhero story based in India is something that is truly exciting and one that makes it all the more special for me to read.The language is as lucid as it can be with a gripping narrative and stellar cast of characters making it every engrossing. I am running out of words to describe the climax - it was mind boggling! Set in London the climax with the hero and the antihero is the perfect cherry on the top. Strongly recommended for Fantasy lovers, this one is a must read for the pure thrill it gives to it readers. This book is like Dahi Papdi Chaat - crispy, cool, tangy, sweet and spicy!